As we all are returning home from what has been for most of us a once in a lifetime experience, I’ve had time to reflect on how we become frustrated at times (when we are stuck in traffic, or in a long line or plans are unexpectedly altered). We probably all experienced that in the past couple days. 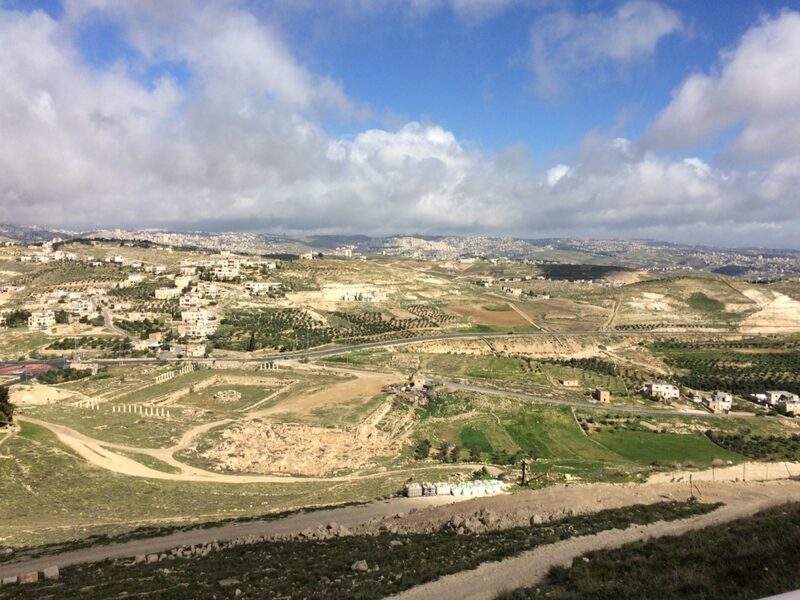 I wondered how Jesus and the disciples handled frustrating circumstances. The Bible tells of many circumstances where crowds followed them in their travels. I am sure we are all missing out on some very teachable moments in those circumstances. We are so thankful for this trip. Thank you to the IFL and Inspiration staff for doing a great job handling such a large group and making it an enjoyable experience. We may not be coming home physically refreshed but certainly spiritually overflowing! 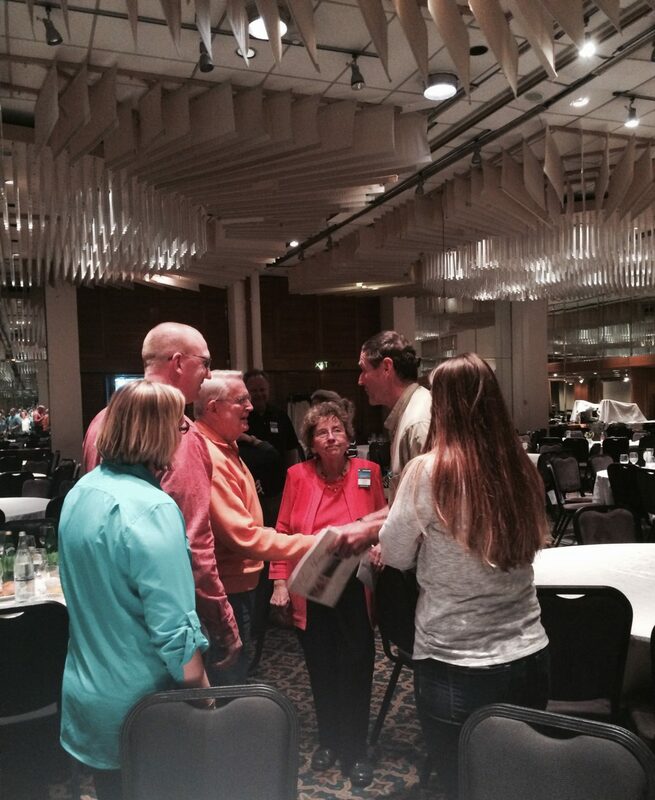 It was such a joy to visit with Cynthia and Chuck after one of our evening meals this week. I am thankful for Chuck’s powerful teaching. I would also like to thank Tom and Katie Hayes who did a great job as our mentors and Condall and Kathy Clegg for keeping us together—their fellowship was wonderful. Our guide Yaniv, made our long days enjoyable at every moment. 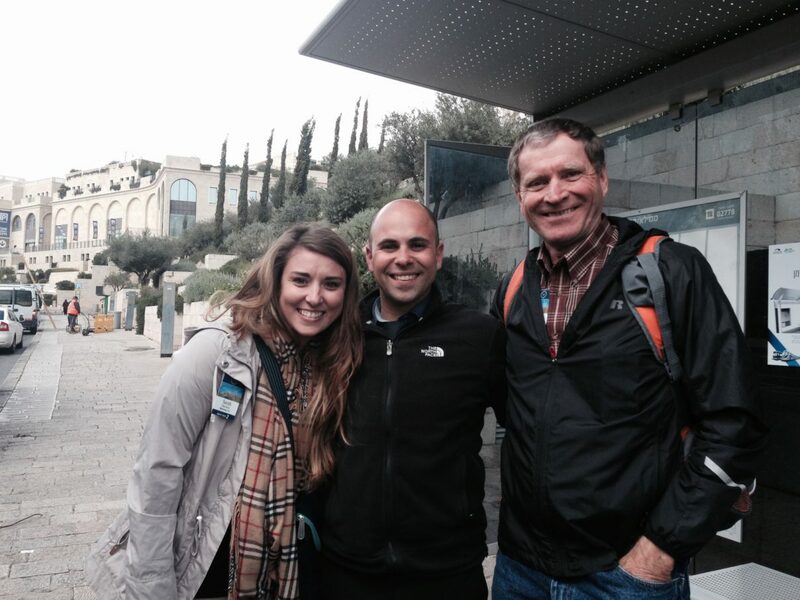 Our driver, “the other” Yaniv, kept us on schedule and gave us some extra special experiences. Finally, I want to thank my daughter Sarah for inviting me to join her on this incredible journey! Thank you, IFL, for all of your planning, teaching, love and support to help all of us pilgrims learn more about our Lord and the “Land of the Book”! This afternoon five of us from Bus 2 took a couple of hours to do some shopping. As we were walking along The Promenade, our friend Jack Gilbert suddenly suggested we go into a jewelry store to look at some coins. As we shopped we engaged the kind attendant Elizabeth at the store. As the conversation progressed, she asked that we remember the people of Israel as we return home and how happy she was we had visited. 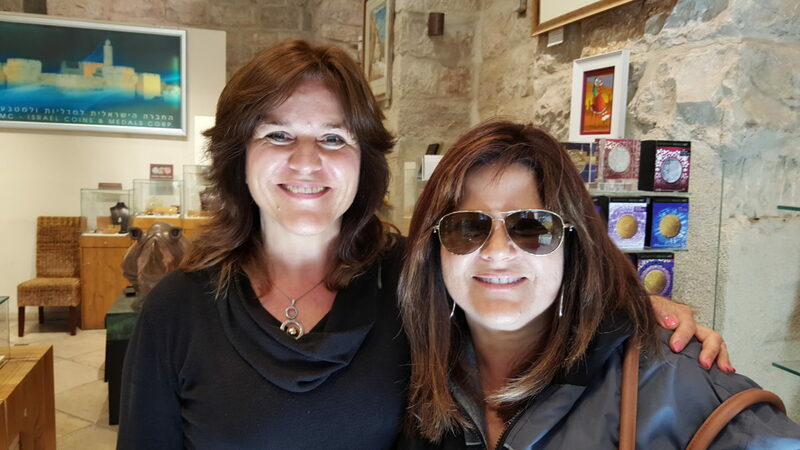 We shared with her our love for God’s chosen people and that many in the U.S. pray regularly for protection and for the peace of Israel. She got teary, and I felt impressed that we should pray. The five of us and Elizabeth formed a circle, and I led us in prayer for blessing and protection for this land and I closed as usual, “In Jesus’ name.” As we said amen Elizabeth enthusiastically exclaimed; “I am so happy you came in because I am His also like you!” I thought, how wonderful of the Lord to have led us into this store for such a time as this. We return with our hearts full and, as Chuck and Tom Hayes shared this week, praying for the upcoming testing that is sure to follow. May we be found faithful. 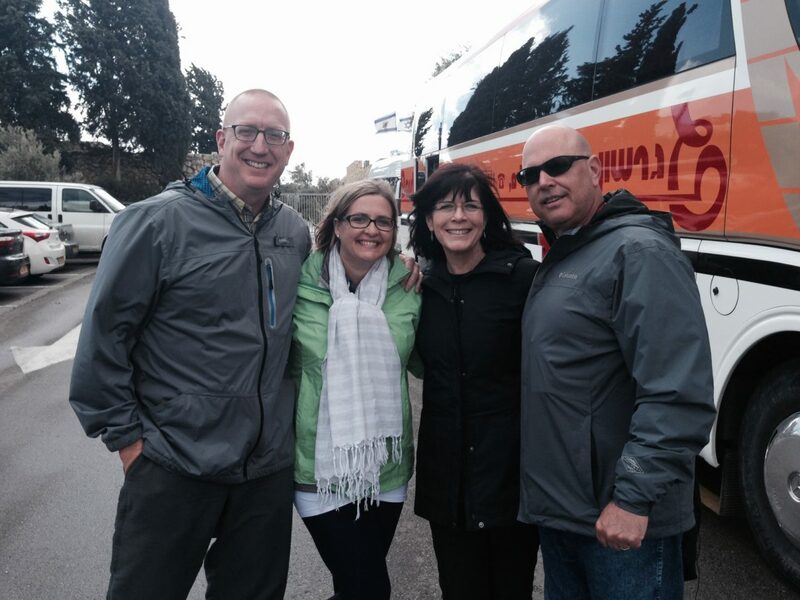 Thank you IFL for the trip of a lifetime! On our free day, many of us had time to retrace our steps. The old city was a little quieter today and the city streets were empty. 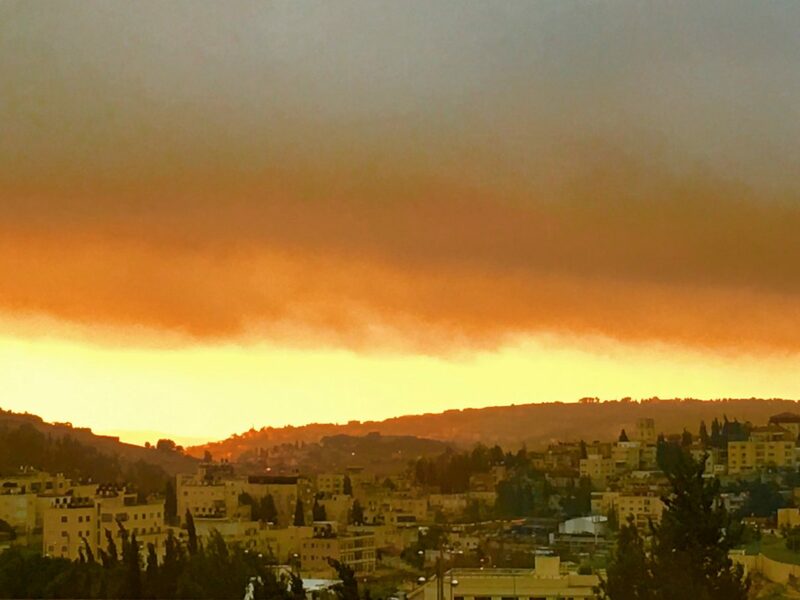 A great day to reflect on our time and to re-look at this amazing city… the Holy City… Jerusalem. 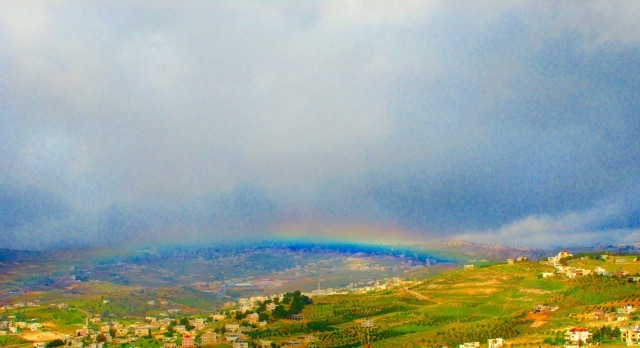 A rainbow Wednesday morning over the city of Bethlehem taken from the top of the Herodium. 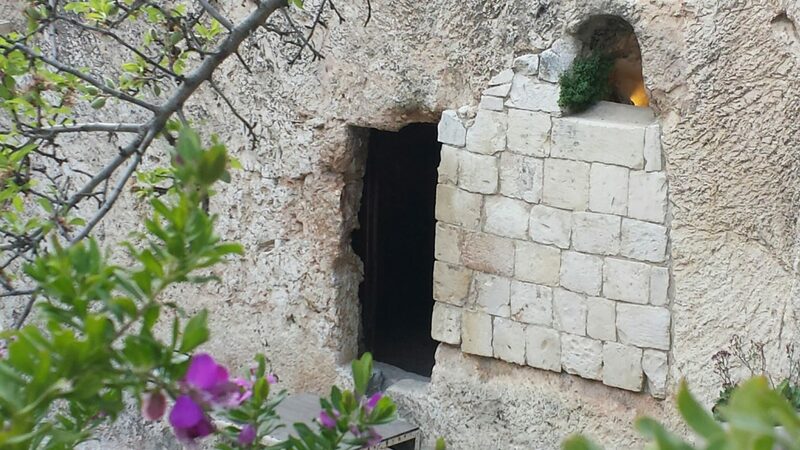 Although many hold the Garden Tomb as the authentic site of the death and resurrection of Jesus, the levelheadedness of history and archaeology beg to differ. The tomb represents a typical 7th-century BC tomb. Because of this, it couldn’t be the “new tomb” the gospels record in connection with Jesus (Matthew 27:60; John 19:41). 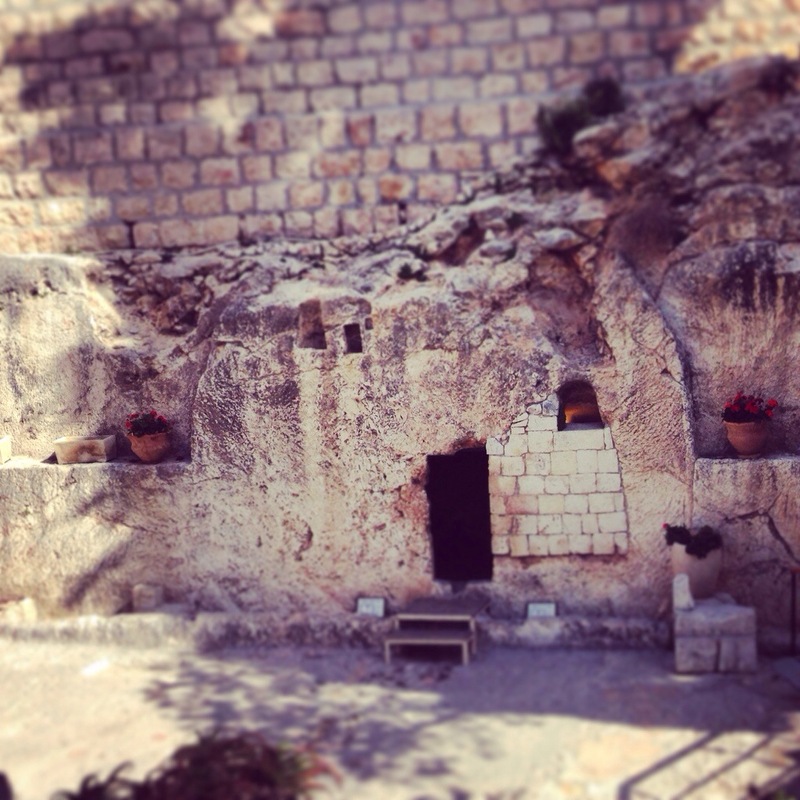 The “Garden Tomb” in Jerusalem. Yet there is no better place in Jerusalem than the Garden Tomb to contemplate the central truth of Christianity’s faith—the death, burial, and resurrection of Jesus. 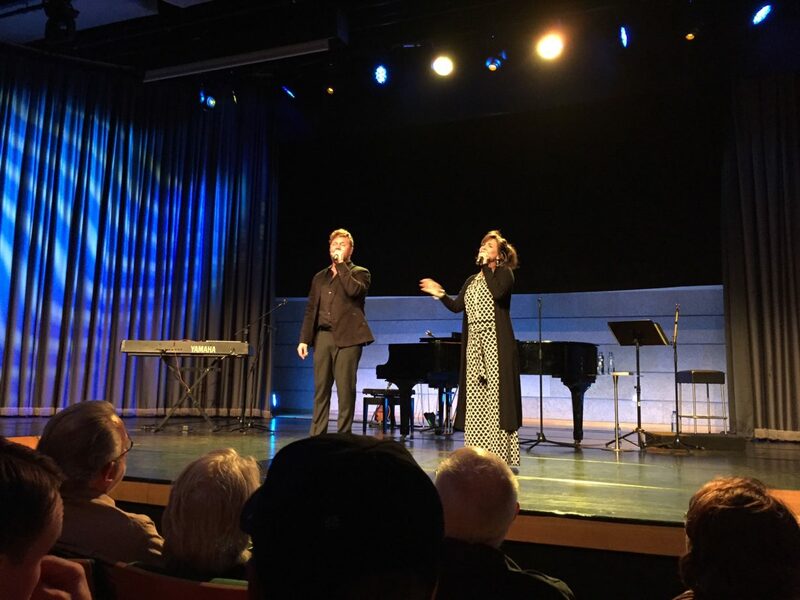 Tonight we were treated to an incredible concert. Mr. Phelps’ voice is so dynamic it will give you goose bumps. He sings with such passion and from the heart. Looking forward to the new songs he said he had written on this trip. 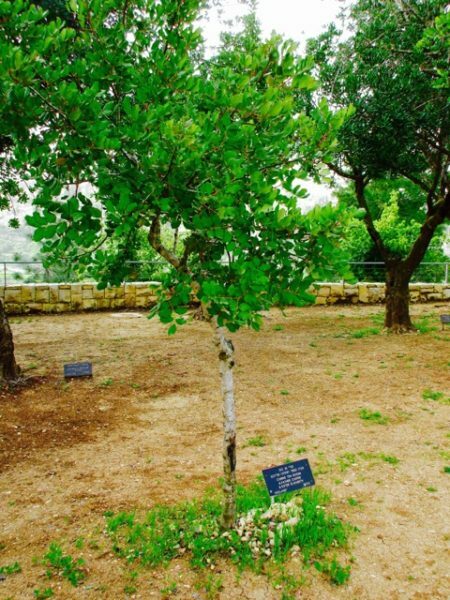 Corrie Ten Boom is honored with a tree planted in her memory on the Avenue of the Righteous Gentiles at Jerusalem’s Yad Vashem Holocaust Memorial for her and her family’s efforts to hide Jews from the Nazis during World War II. We are risen, we are risen indeed.